A live streaming webcam shows New Hampshire’s largest and fastest gondola going in at Bretton Woods. Some tidbits on the lift from the New Hampshire Tramway Board: line speed will be 6 m/s with 36 cabins and a design capacity of 2,600 using 62 cabins. SkyTrans is taking the retired B double and the gondola’s load test is slated for December 20th. Sunrise Park Resort abruptly ends all summer operations. In Europe, some pulse gondolas are on the way out. As it works to finalize its lease of Mt. Sunapee, Vail Resorts assures New Hampshire residents the company is in for the long haul and doesn’t plan any real estate development at the state-owned mountain. 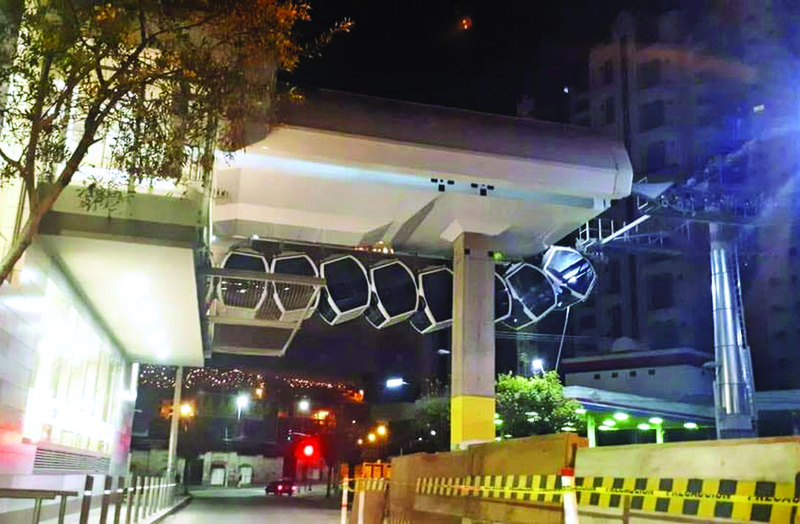 A stack up of at least nine cabins on the White urban gondola line in La Paz last Monday is deemed the result of human error. No passengers were on the lift at the time. Loveland receives more than 3,000 name suggestions for its upcoming detachable quad and will unveil a winner early next week. 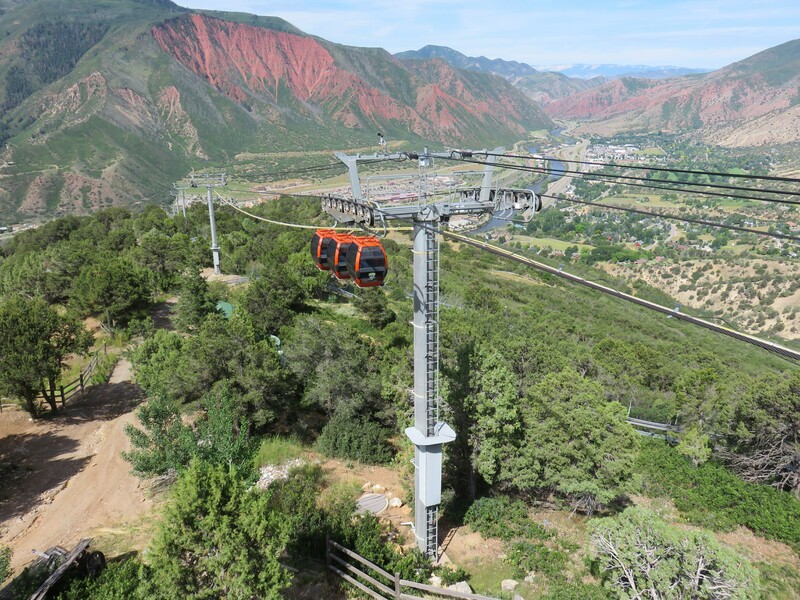 One of the longest gondolas in Mexico, opened seven months ago in Torreon, has already carried more than 325,000 passengers and will soon get nine additional cabins from Sigma. Go inside Poma’s newest French factory. Arapahoe Basin and Leitner-Poma commence pouring concrete and digging tower locations for the Beavers lift. As Winter Park continues testing digital chairlift advertising, sister resort Steamboat goes old school with bar mounted trail map ads. The widow of Loveland mechanic Adam Lee, who died underneath a carpet lift last winter, goes on CBS This Morning to talk about his workers compensation claim being reduced due to a positive marijuana test. Magic Mountain submits a permit application/profile for the Black Line Quad and hopes to commence construction next month. 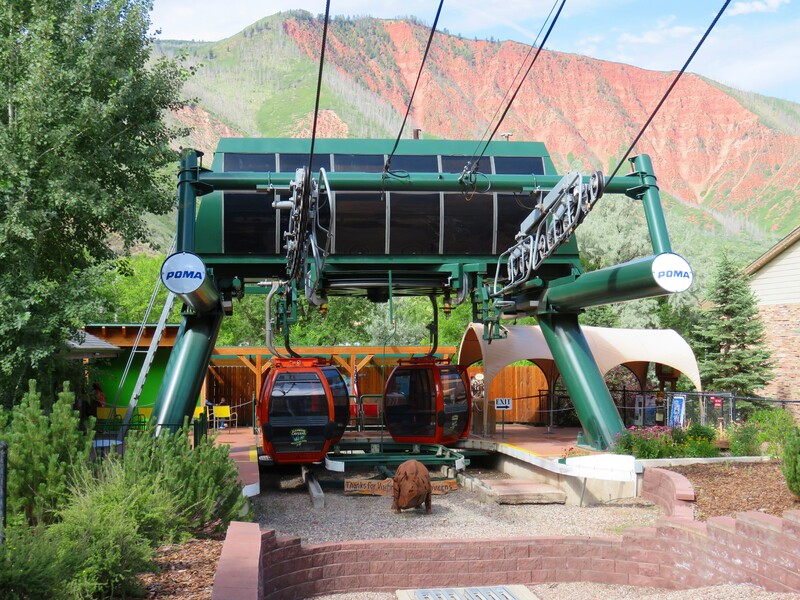 Three cabins nearing the summit of the Iron Mountain Tramway in Glenwood Springs, Colorado. 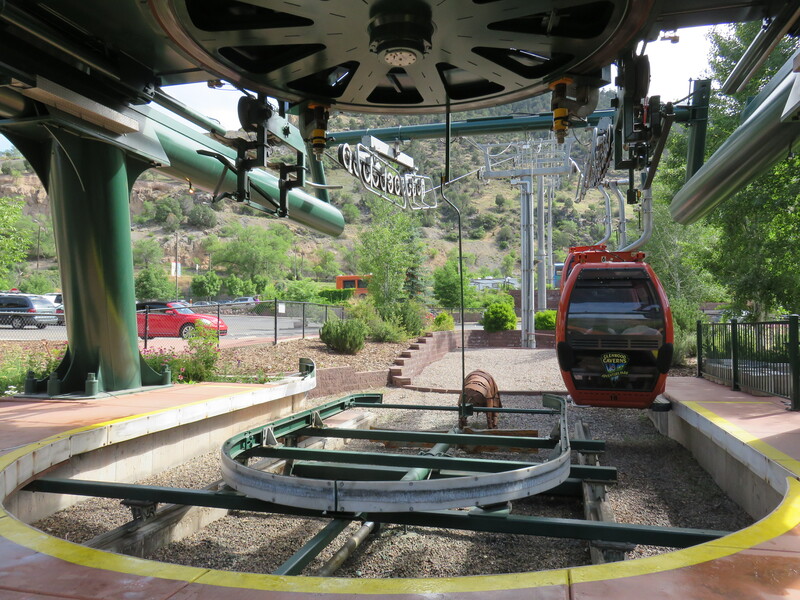 The Iron Mountain Tramway provides the only public access to the Glenwood Caverns Adventure Park located in Glenwood Springs, Colorado. Built by Leitner-Poma in 2002, it was one of the first pulse gondolas to open in North America. The system debuted with four sets of two CWA Omega III cabins and now has six pulses of three for a total of 18 cabins. Ultimate design capacity is 36 cabins in groups of three which would achieve a capacity of 543 passengers per hour per direction. With a top speed of 1,000 feet per minute, the trip takes about seven minutes including two slows along the way. If more pulses are added, the trip time will increase as the system slows to a crawl whenever cabins are loading and unloading. This is one of the disadvantages of pulse systems. The entire center loading platform and guides move hydraulically with the motor room above. The gondola rises 1,351 feet and has a slope length is 4,432 feet. The bottom drive terminal is a Poma Alpha model with a 400 HP electric motor. Because this is also the tension terminal, the entire loading platform moves hydraulically with the motor room and bullwheel. Bottom terminal adjacent to Interstate 70. A unique feature of this installation is that the 18 towers also support water, natural gas and sewer lines for the summit facilities. All three lines are suspended from a 3/16″ cable attached just under each tower’s crossarm. The water line supplies 42 gallons per minute to a tank located at the summit. The Colorado Passenger Tramway Safety Board approved transport of natural gas along the line because the fiberglass pipe used has a safety factor of 30 relative to the pressure of the gas.